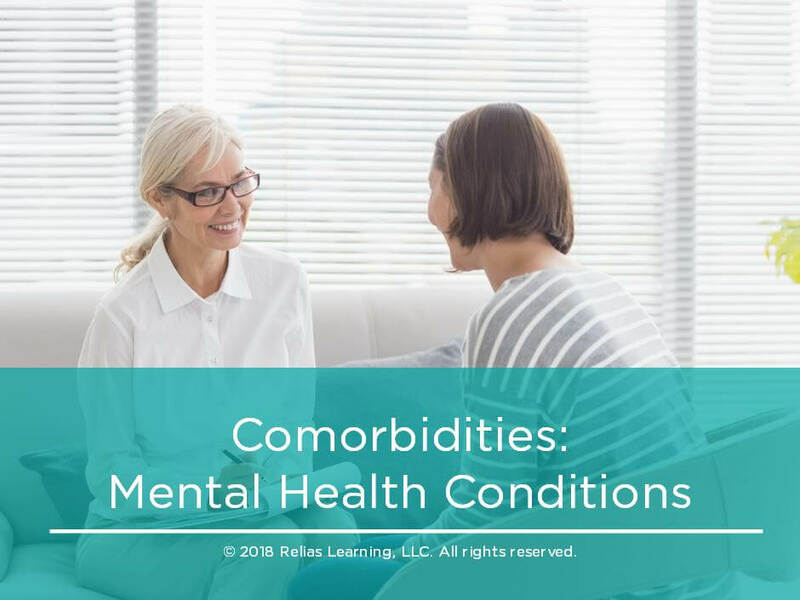 Patients receiving therapy services may also have co-morbid mental health conditions that may impact the way therapy professionals interact with the patient and manage the therapy plan of care. As such, therapy professionals need to be knowledgeable of the most common mental health conditions, their impact on a person's functional ability, and strategies to use when providing treatment. Describe 2 mental health conditions frequently encountered by therapy professionals. Describe the impact of mental health conditions on function. Identify the barriers to obtaining mental health treatment. Explain the importance of recognizing mental health conditions and the consequences of untreated mental health conditions. Illustrate 4 techniques therapy professionals can use to ensure positive outcomes for these individuals. Carol Myers, BA Psychology, BS Occupational Therapy, OTR, MA Organizational Management, Certified Health and Wellness Coach, and healthcare writer. Carol has worked in California and Colorado in skilled nursing facilities, pediatrics, acute care, in-patient rehabilitation, home health, out-patient/community reintegration. Disclosure: Carol Myers, OTR has declared that no conflict of interest, Relevant Financial Relationship or Relevant Non-Financial Relationship exists. The target audience for this course is: entry level Occupational Therapists; entry level Physical Therapists; intermediate level Speech and Language Pathologists; in the following settings: Rehabilitation Settings.